Kangana Ranaut is one actor who gives her all to get into the skin of any character. From Datto to Manikarnika, the actress has always managed to stun the audience with different avatars. And now that Ms Ranaut is all set to play late Tamil Nadu CM, J Jayalalithaa onscreen in a bilingual directed by Vijay, she is preparing to give another performance of a lifetime. When asked about her preparation for the role, Kangana said, “The scenes will be in Tamil, and I will learn the language to understand the character better and feel closer to her. I will begin my language classes once I honour my commitments to Panga and Mental Hai Kya.” In the meantime, it is being said that the actress is being paid 24 crores for the film, which makes her the highest paid actress. Jaya will also be one of the first films from South where a Bollywood actor will be leading from the front. 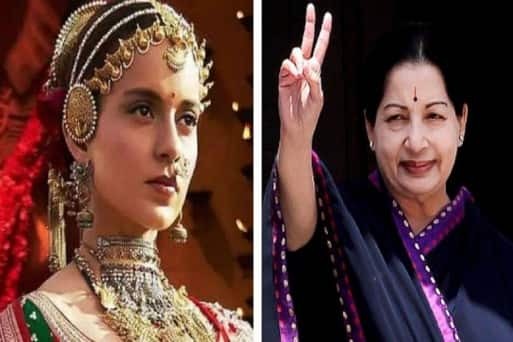 After the release of Manikarnika, Kangana had revealed that she will start work on her biopic, but when she heard the script of Jaya, she was drawn to the script as she felt Jayalalithaa’s personality is a lot like her own. “I see parallels with my own journey in hers, but her success story is much bigger than mine. In the first narration itself, I could see myself doing the part because it came naturally to me. I could have gone ahead with my own biopic, but this was much more enticing” said Kangana.